On March 22, 2018 at UnliCity Restaurant, Century City Mall, Makati. Aliw@40: The Ruby Anniversary Concert will be officially announced in a Press Conference. 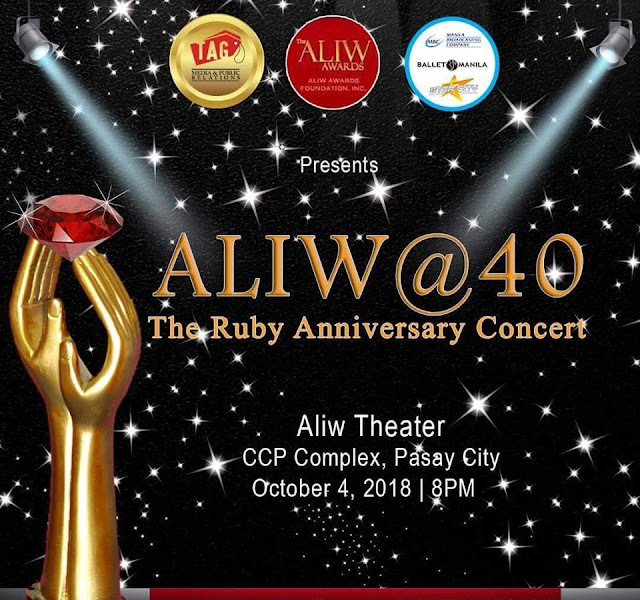 This year, Aliw Foundation will hold their biggest concert as they celebrate their 40th Year Anniversary at Aliw Theater in partnership with various companies under Liza Macuja Elizalde (Manila Broadcasting Company, Star City and Ballet Manila) among others. Engr. 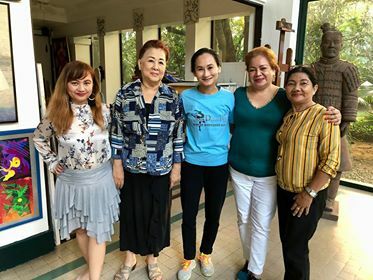 Grace Bondad Nicolas (Tag Media & PR Co- Founder), Alice Reyes (Aliw Awards Founder), Liza Macuja Elizalde (Ballet Manila), Francia Conrado (FAMAS) and Virginia Bongalosa (Aliw Foundation). Ms. Alice Reyes, a renowned Philippine journalist, Aliw Foundation and Aliw Awards founder is looking forward on this event and is excited to collaborate with the award winning musical director, Freddie Santos who will be in charge of Aliw@40. Ms. Reyes is also looking forward on the confirmations of the “Entertainer of the Year” awardees to join the concert. Further announcements will be made on March 22, 2018 Press Conference.